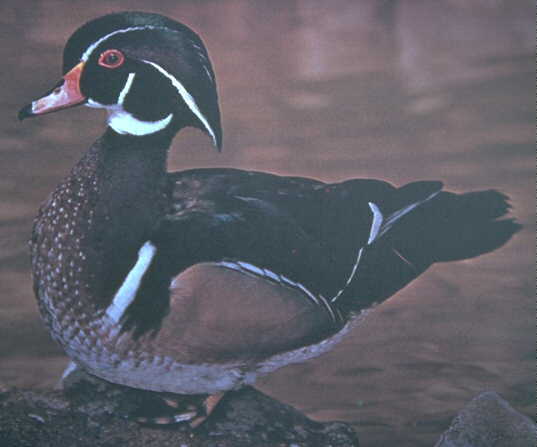 What Does a Wood Duck Look Like? 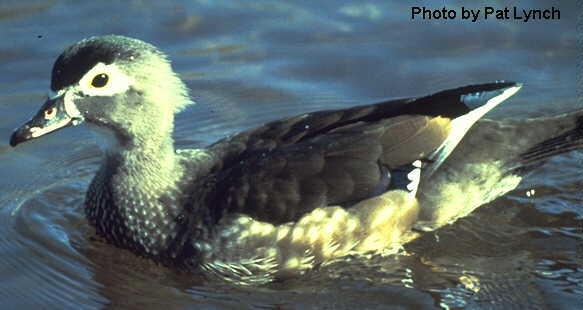 Wood Ducks are native to our area (Yolo County in northern California), and are one of our most exotic-looking birds. They arealso very unusual in being ducks that NEST IN TREES! Once on the decline, Wood Ducks are making a comeback due, in part, to the introduction of nesting boxes on many farms, lakes, and waterways. Nesting boxes are needed to replace the "dead trees" which used to offer holes for nesting, but have now been removed. More photos available on USGS site.